Welcome to GOLD OCEAN STUDIO a shop with custom tattooers and private studios. Located in the the heart of Edmonton's Old Strathacona, we cover a wide range of high quality work. From realism, full colour Japanese, to fine line script. Suiting all budgets, here you will find the artist just for you. 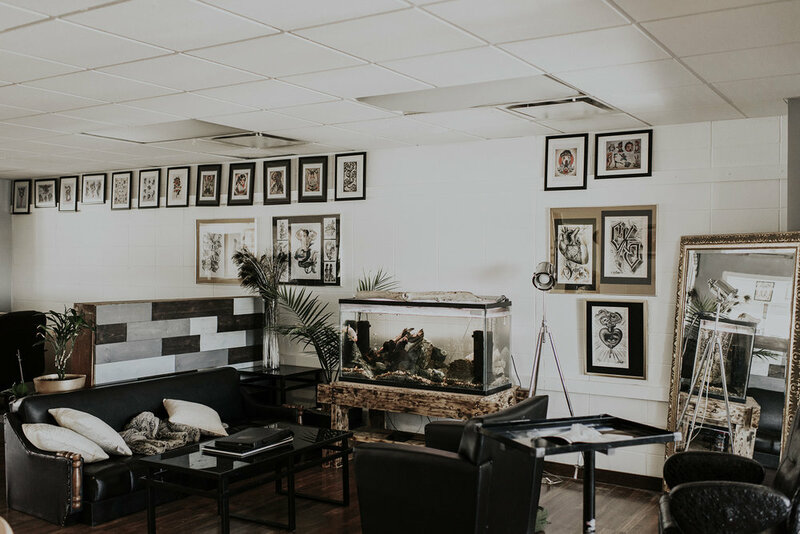 Gold Ocean Studio is not your typical tattoo shop... our goal is to have our clients and visitors feel comfortable and welcome to our place while producing the best tattoos for you. All of our artists have private areas for tattooing; custom fit to each artist. We also have space for friends to come hang out, keeping an overall open concept in the main area. Take a look at our Shop Vibes section to get the feel.